We love the unusual shape of this religious icon. It measures 2cm in length and would be an awesome addition to any layering combo. 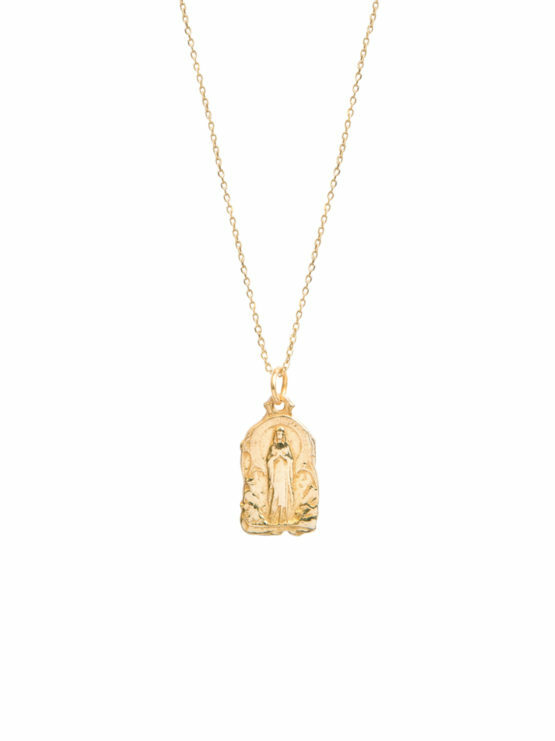 There is detailing on both sides of this gold plated charm. The trace chain has three different length options within the same chain so it can be worn at either 40cm, 45cm or 50cm. Ideal for perfecting the ideal necklace stack!